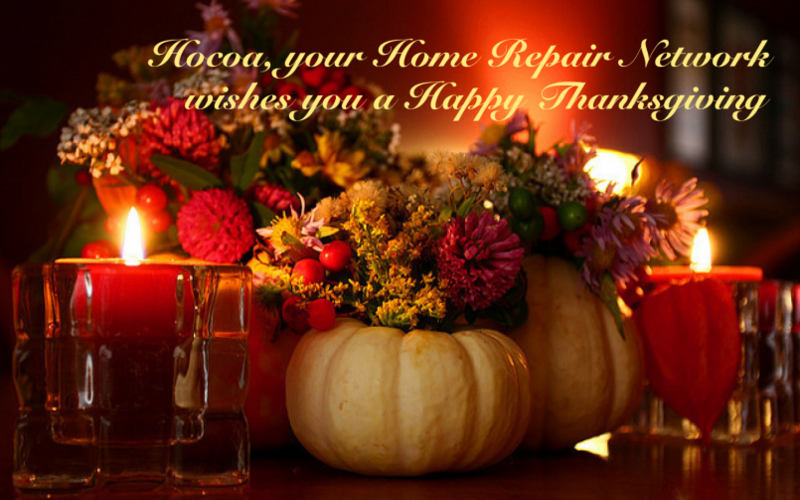 If you need help in Thanksgiving home preparations, then contact HOCOA to help with any home maintenance to have your home in good working order before the guests come. 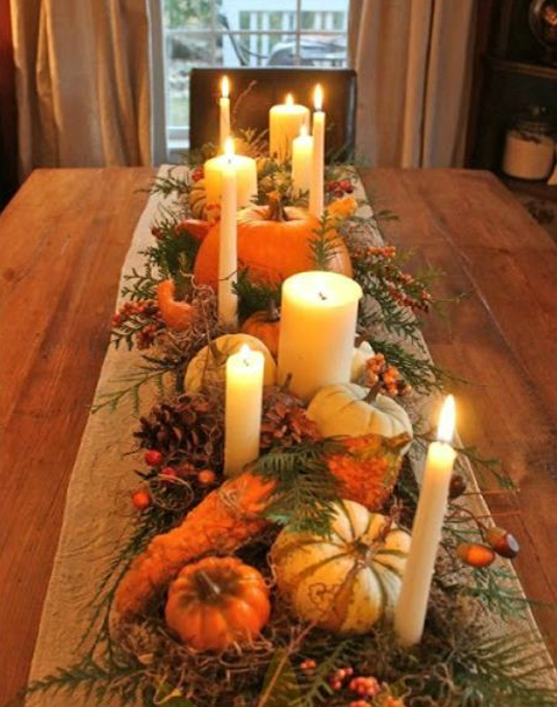 Thanksgiving is a welcome tradition, allowing friends and family to gather together. If you regularly host Thanksgiving you know that cooking, serving and cleaning up are massive tasks. So is preparing the home for houseguests. You can alleviate stress and mess by getting your home ready for the holidays and making sure your family and little ones are safe in your home. Bones, vegetable peelings and grease are not a good combination for your sink and garbage disposal and can cause a backup or may kill the motor. 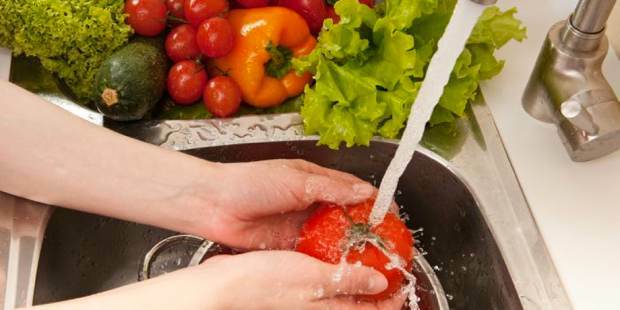 With such a likely combination for Thanksgiving, prepare your sink. 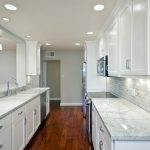 If your sink is already draining slow, then bite the bullet and have a plumber come snake your sink and clear it out. Do not put potato, sweet potato or apple peelings into the disposal. This can get stuck in the blades and possibly cause the disposal’s motor to overheat or stop working. Have a container ready to pour your turkey grease into a jar or can, and throw it away in the trashcan to eliminate the possibility of clogging the drain. An ounce of prevention goes a long way. Is your toilet running or the handle works half the time because the chain gets stuck? On toilets, the least expensive fix is to replace the innards as they do wear out. To have a good flush for your houseguests and to prevent an overflow and a plumbing disaster, plan ahead and get your plumbing in good working order. 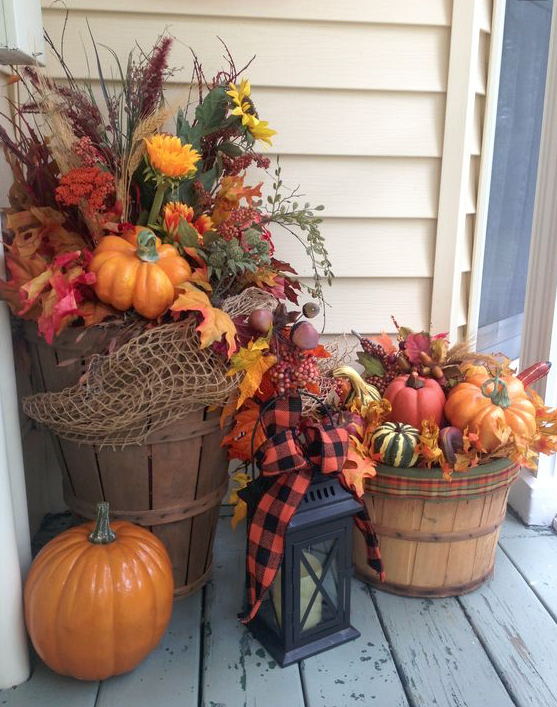 For Thanksgiving home preparations, do your table and door decorations well ahead. Wash your towels and napkins. Call HOCOA for maid service! Make sure your bathrooms are well stocked with supplies and set out a garbage can in plain site. Hosting Thanksgiving may involve having family and friends of all age groups. If you are expecting small children on Thanksgiving, make sure you go through your home on your hands and knees and “see” your home from a small child’s point of view. Cover exposed outlets, place dangerous or breakable objects up high, and consider asking the parents to bring a temporary gate if you have stairs. Older guests may also have trouble in an unfamiliar setting. Remove tripping hazards on the floor and have enough clearance between furniture and in hallways. 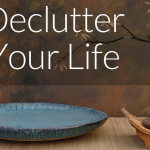 Store away objects that you think might be in the way. 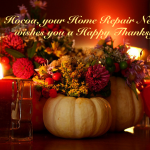 If you haven’t done so already, have your major appliances serviced for part of your Thanksgiving home preparations. This may sound excessive however, the months of November and December are when dishwashers, ovens, stoves, washers and dryers, heating units and generators are heavily used. Call HOCOA to have an appliance repair person to your home ahead of time. 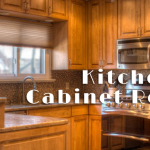 Be sure to clean your oven and refrigerator ahead of time. Holiday cooking and baking, along with candles and the distraction that parties create, can accidentally create unintentional fires. Before Thanksgiving, test your smoke alarms and make sure they are functioning in all areas. Have a small kitchen fire extinguisher in plain site (so any guest can use it) as well as near the fireplace or any exposed flames. Every year thousands of homeowners are sent to the emergency room after falling off a ladder. If you need to climb a ladder to clean your gutters or roof, or are trimming branches or hanging holiday lights, use caution. Always have another adult to help spot you or hold a ladder and if you are feeling unsafe, hire a pro who is expertly trained in ladder safety. 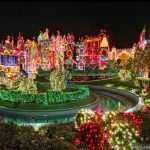 Thanksgiving home preparations takes a little time up front, but makes it a much more safe and relaxed holiday and we at HOCOA want you to have a wonderful Thanksgiving holiday.